Hello, my name is Anne Serry. I trust you have found me because you are going through a difficult time, and are seeking support and a safe person to share your struggle with. I understand that reaching out to an unfamiliar person can be a confronting experience, so I will do my best to lessen any fears you may have about the counselling process through sharing information about myself and my counselling practice. The first thing I want to you to know is that when you contact me I respond. I am very aware that when someone is seeking counselling they don’t want to wait too long for a response. So I make it my priority to be as available as quickly as possible when directly contacted through my website. In the first instance I’ll reply to your contact with a phone call and if I cant get hold of you I’ll follow it up with a text message to arrange a time to talk. I provide a high quality counselling service right from the get go, because I believe you deserve it. How I respond in our first contact is how I will respond right throughout your whole counselling journey. It is of the utmost importance to me that you have a positive encounter at every step of the process, from contacting me, to making the appointment through to actually walking in the door to see me. If all of that goes well, then we are well on our way to ensuring you get a wonderful outcome. And you should expect a very good outcome. What is counselling and therapy? Well in my world therapy is a two-way journey, in that we work together as a team, navigating our way through your issues, concerns and struggles. In this way a supportive environment is created that creates positive outcomes, new possibilities and better ways to cope and manage. So if you have a true desire to change, and are open to learning about yourself then I will match your commitment step-by-step until together we have changed the landscape of your everyday life. When you are in my safe space you get to be yourself without any fear of judgement. You can let down the barriers, take off your everyday mask, and really feel seen and heard. In this way we explore who you really are; who you want to be; and work towards your goals. The next thing you should know is that whilst my business may have a big brand name in truth it’s just me. By keeping my counselling practice small this allows me to work closely with every, single client. I deeply care about the welfare of my clients and believe that developing an authentic and real connection is an important basis on which to do therapy. So, having a single person practice suits me. The big brand name thing is really there for Google’s sake. If you are curious about my qualifications then let me reassure you that I have all the requisite qualifications and experience to do the work I do and you can find more details here. I am a qualified Counsellor and Psychotherapist, and a trained practitioner in the The Richards Trauma Process (TRTP™) a process for resolving trauma, grief, depression and anger in 3 sessions. and would describe my style of working as natural and integrative. I work across the whole spectrum of life events and utilise the client’s life experience as the main vehicle with which to facilitate change. I work from a place where everything in one’s life experience is connected and it is my job to help develop and grow the awareness of how these connections impact our everyday lives and experiences. My job is to help uncover the reason for the problem, where it began, and how best to find ways to resolve it. I also work from a strength-based approach, which means I focus on the good things about you. Our work together will empower you to take ownership of your life. We do this through developing self- awareness, focusing on self-reflection, accepting all parts of oneself, working on difficult emotions, improved communication, and replacing negative beliefs with positive ones. Evidence-based therapies form part of the work including cognitive behavioural therapy, hypnosis, skills training, interpersonal and psychodynamic therapy, relaxation strategies and motivational interviewing all underpinned by a person-centred approach. So, that is a bit about me. Feel free to get in touch if you have any questions or if you would like to book an appointment. Ask Anne Serry A Question? 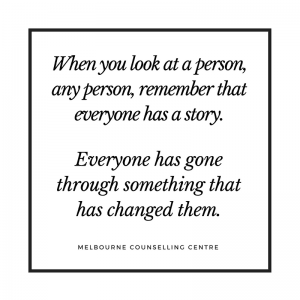 Please use the online contact form below to get in touch with us regarding booking enquiries for Anne Serry at the Melbourne Counselling Centre.